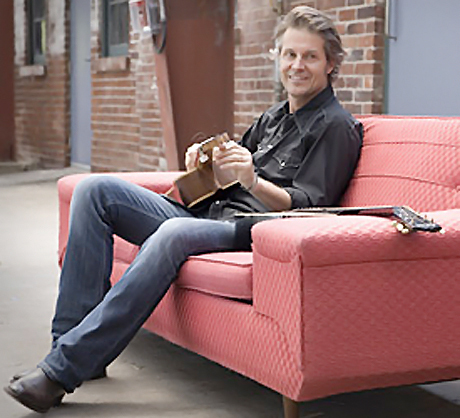 Despite being a country rock institution whose Blue Rodeo are soon to be inducted into the Canadian Music Hall of Fame, Jim Cuddy can still be seen on the faded red couch at the Cameron House from time to time, checking out emerging local talent. That's probably why he's able to choose such excellent opening acts. In 2006, it was Justin Rutledge, and for this latest Canadian trek, it's been Doug Paisley, who paid his dues at local clubs for years before recently getting positive notices in The New Yorker and Rolling Stone comparing him to everyone from Will Oldham to Townes Van Zandt. Paisley's pared-down performances of "Song of the Bluebird" and "At the End of the Day" evoked the sweetly melodic melancholy of a James Taylor, making his soothing nine-song set an ideal appetizer for what Cuddy's more raucous band would perform. If there's any justice, it won't be long before Paisley is headlining Massey Hall himself. Cuddy has been at this for decades, so the man knows how to please a crowd. He opened his 22-song set with the blues rocker "Watch Yourself Go Down," destroying any perceptions that Cuddy without Blue Rodeo bandmate Greg Keelor would somehow be sedate. Although if it was Cuddy's pure voice you wanted to hear showcased, you were also in luck. During his heartbreaking solo take on "Pull Me Through," you could hear a pin drop, as the song even moved some in the crowd to tears. Cuddy had vocal cord surgery a few years back, and at 56, his voice is in perhaps the finest form of his career. The set consisted predominantly of songs from his Juno-nominated Skyscraper Soul, appropriate given the time and place considering that the album is his valentine to Toronto. Skyscraper Soul might be compared to a warm bath, given that a warm bath grows tepid after 20 minutes. Fortunately, his band provided a scalding-hot warm-up at the right moments, most notably on the few Blue Rodeo hits sprinkled in at opportune times. "Bad Timing," "Till I Am Myself Again" and "Try" drew standing O's from the crowd, but it was "Five Days in May" that showcased the band's full power. An incendiary fiddle solo by multi-instrumentalist Anne Lindsay set figurative fire to the 118-year-old hall. With Lindsay's contribution on fiddle, violin and mandolin, Colin Cripps on guitar and Bryden Baird on trumpet, the dynamic was almost a Canadian-cousin to Bob Dylan's gypsy-violin/Mick Taylor-backed Rolling Thunder Review. A powerhouse jam on "Water Is Running High" included Jim's son Devin Cuddy on piano. But Devin didn't get some sappy intro from his dad; rather he sort of snuck to his spot at the back of the stage, barely noticed until a spotlight hit him for a piano solo. As Devin left the stage, Jim gave him a quick sendoff that many may have missed. It's as though he wanted to share the historic stage with his son, but he's also confident that Devin should make it back there on his own merits. Paisley also joined Cuddy's band for some tender gospel harmony on the closing number "Wash Me Down," a song that doesn't quite come to life on Skyscraper Soul but was quite moving on this night. All in all, it was about as comfortingly Canadian as one could hope for, yet filling and substantial -- kind of like a poutine drenched in maple syrup, except without the remorse afterward.